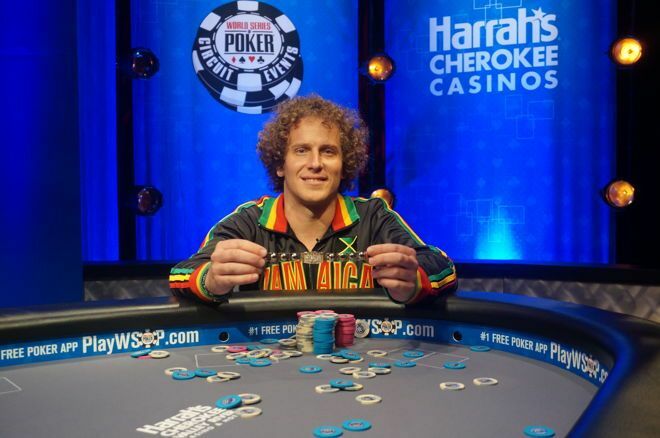 Warren Sheaves won the WSOP Global Casino Championship for the last stateside bracelet of 2018. The final stateside bracelet of 2018 was up for grabs this week for a select 125 or so qualifiers at the World Series of Poker Global Casino Championship, plus anyone who met certain criteria and wished to buy in for $10,000. When it was over, Warren Sheaves had navigated through the regular-filled field to take down $282,113 and his first gold bracelet. It's by far the biggest cash of Sheaves' live poker endeavors, about 10-times his previous best, and nearly doubled his career live winnings to $666,912. In the process, Sheaves denied Loni Harwood a shot at her third bracelet and the chance to become the first repeat champion of the event, which has been running since 2011 and the days when it was merely a national championship. 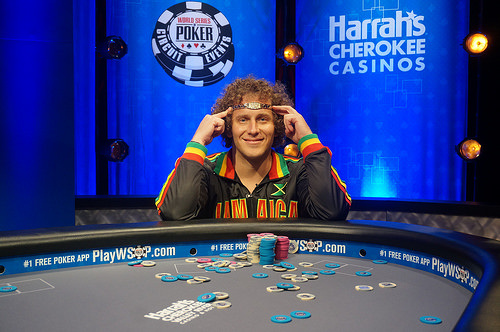 Harwood won the event in 2015 for $341,599. There wound up being 127 runners this year, up slightly from last year's 124. Sheaves qualified as a top-10 points earner through the WSOP Circuit season, as he racked up 16 cashes with six final tables. Just 20 places would be paid, with Joseph Cheong, Josh Turner, David "The Dragon" Pham and Ari Engel among those cashing but missing out on the final table. Bracelet winner Keven Stammen scored a series of eliminations, including busting Engel in a massive flip, to go into the official final table with a huge chip lead, according to the live updates. Sheaves had the shortest stack at that time, although his 43 big blinds still left him plenty healthy. Arkady Tsinis nearly pulled even with Stammen early in the final table when he peeled to a four-bet from Stephen Bierman and outflopped his aces with two pair, holding on for the first elimination. Stammen kept pace by busting Kurt Jewell in eighth. Sheaves then found his first double of the final table, getting his 22 big blinds in after a raising war when Blake Whittington opened button, Sheaves three-bet small blind and Whittington shoved with a covering stack holding eights. Sheaves held superior pocket queens though and he held up to double. Sunk down under 20 big blinds, Whittington survived for only a short time before jamming his last 10 bigs in with jacks and taking a bad beat when Tsinis' ace-jack found an ace. That ended play for the penultimate day and the final six came back with Harwood looking like a great bet to grab another bracelet as she sat just a hair behind Jeremy Meacham for the lead. Sheaves went into the last day in fifth with 30 big blinds but found an early double when he picked up aces against Tsinis' jacks. Stammen then finished off Tsinis in a flip, nines against , making a straight on the turn after Tsinis flopped his queen. Harwood then bowed out when she called down with king-ten on after flatting a raise from Meacham preflop. Unfortunately for her, Meacham had made the nut flush on the river with and her bid for another title in this event ended with a fifth-place finish. Armin Stocker came in as the shortest stack, so laddering past Harwood and Tsinis left him in a good spot. Sheaves sent him packing in fourth when Stocker four-bet shoved with tens and didn't improve against Sheaves' jacks. Three-handed play went on for some time with Meacham pulling farther ahead after making some strong hands and taking a big pot off Stammen with a three-bet shove on the river on a board that featured paired kings on the flop. Finally, Stammen left the final two heads up with nearly even stacks when Sheaves busted him ace-jack against threes. Both had over 100 big blinds and each held the lead for a time but they were almost even when Sheaves took the decisive pot. He opened for 125,000 at 25,000/50,000/5,000 and Meacham called. On the , flop, Meacham check-raised from 115,000 to 300,000 and Sheaves peeled. Meacham bet 375,000 on the turn and then shoved for 2 million on the river. Sheaves pondered and then called with just but it was good against . He said afterward that he felt he was against a flush draw. Left with just over 10 big blinds, Meacham was finished shortly after that hand. Kitty Cash Slot Online: Review and FREE Demo!